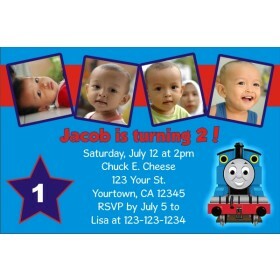 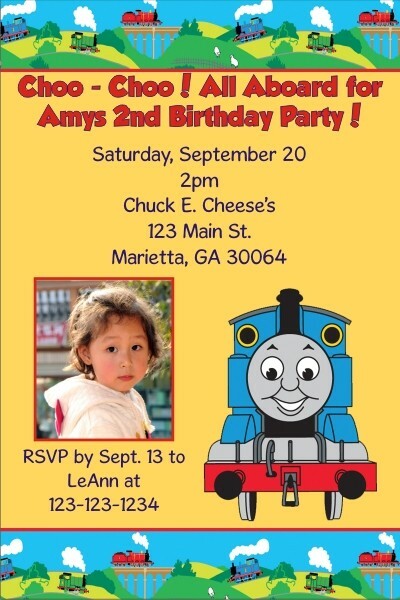 Thomas the Tank Engine (Train) Photo Invitations 2. 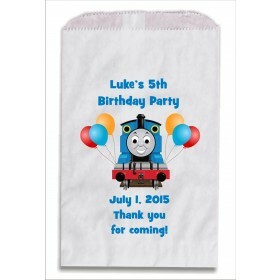 This is one of our most popular templates and it's great for Thomas fans. 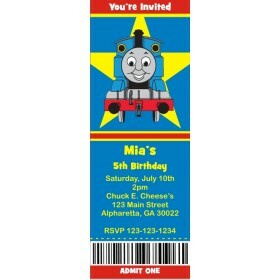 It features a yellow background and red and blue lettering. 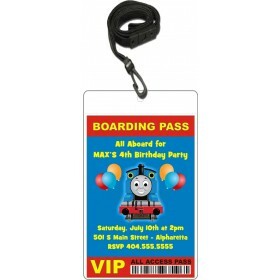 Personalize it with your child's photo and party information.